In today’s marketplace, your orthodontic website is often the first contact a consumer has with your practice. Your website should serve as verifiable proof of your orthodontic treatment expertise. Outdated websites lead visitors to think your practice and treatment methods may be outdated too. For this reason, a professional orthodontic website design is essential. Responsive Web Design Done Right! With over two-thirds of all U.S. consumers accessing the internet using a smartphone, it is now a necessity for all websites to be easily viewed on a mobile device. This is called responsive design. 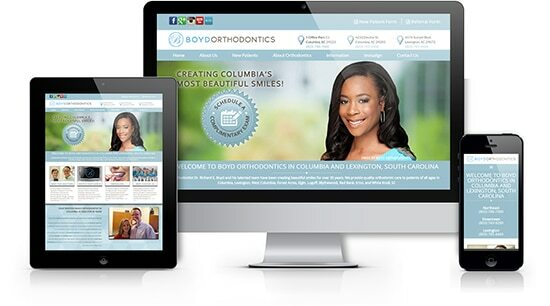 A responsive orthodontic website design can automatically adjust its layout to properly fit all devices including smartphones, tablets, laptops, and more. At Orthopreneur, we have over a decade of industry experience in orthodontic website design. Our expertise in responsive design not only resolves the question of mobile capability, it also simplifies site maintenance and updating by eliminating the need for multiple versions of one website. This allows orthodontists to acquire new patients and grow their business effortlessly. Since 2008, all of our orthodontic website design is done using the WordPress platform. With over 74.6 million sites worldwide using WordPress, it is by far one of the most reliable platforms available today. 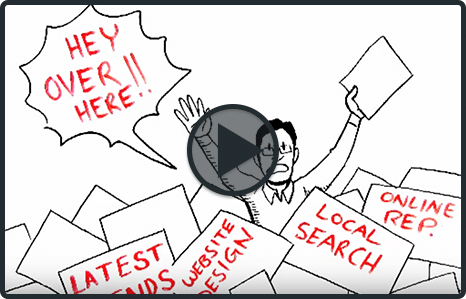 Because it is easily indexed by search engines like Google, Yahoo and Bing, the platform allows us to provide our clients with high-ranking and easy to use websites. All of our websites are built using the latest industry best practices and are HIPAA compliant. As WordPress is a content management system, all the websites we create can be easily edited by orthodontic staff. Don’t depend on a web designer to make the updates you need. As simple as sending an email, your office administrator can add an event or testimonial to a WordPress website – saving you both time and money.